What a joke. Wake me up when a $500 GPU can do 1440p60 at minimum. Um... GTX 1080s do 1440p/60. I'm sure 1070Ti's could do it too. I used a 1070 at 1440p for a while and there were only a few occasions where I dropped below 60 on some demanding titles. Raytracing is the future for realistic lighting and shadows. It's still in its early stages though but you've got to start somewhere. Which is fine... but it's not like we can just ignore it until the performance is up to par since we're paying a premium on the new cards regardless. So... it's frustrating. 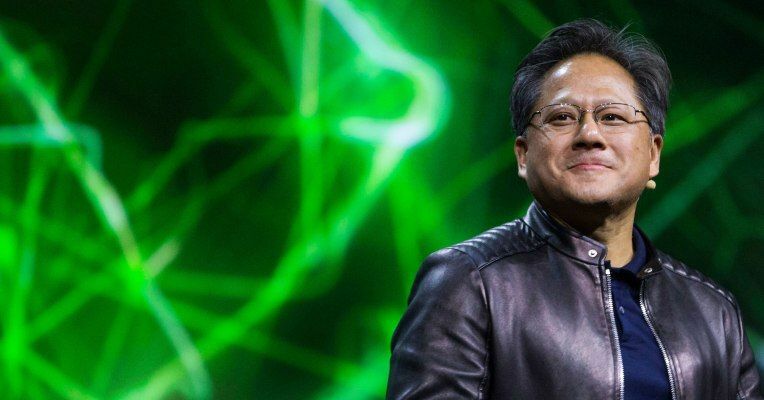 Wait 2 years for a very small jump in overall performance (going by TFLOPS midn you, not "RTX-OPS"), but paying a fuckton more. Sounds about right. People can play ray traced at 30fps but that's not most people's ideal framerate on PC. Will '7nm' be the new 'Scorpio'? Tomb Raider is out in a few weeks, it went gold a month ago. The game is done, lets stop pretending like these effects weren't shoved in at the last minute and that they'll magically perform better at launch because reasons. That ray-tracing stuff will be added in post release. But this is also giving me echoes of VXAO in Rotter. Clear improvement over the original occlusion system. Utterly impractical to use on account of the performance cost. And given the seemingly slight improvement over 10 series, VXAO will remain that way. Yeah ok that cements it I will be waiting this gen out. It probably won't take that long. 5 years to be the standard seems doable. Of course it's going to be a big deal if consoles pull off ray tracing because they're not going to cost $1200 for the GPU alone but rather ~$500 for the whole system. edit: also, if next gen consoles are capable of doing ray tracing it just means higher potential for developers to actually implement it in their games\engines. I meant while raytracing. I have a 1080 already. 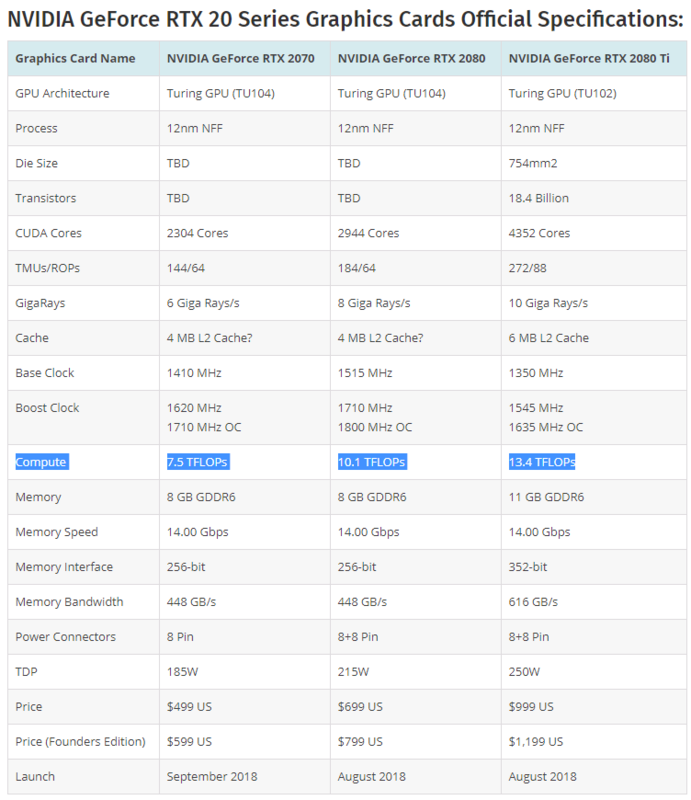 Do we really know of the TFlop performance is minimal though ? We should wait for benchmarks. Let's stop pretending that you know stuff when you don't. The ray tracing will come as a post release patch. I'm just excited we're finally here. Yeap I always turn the hair thing off even though my card can handle it, I just like Lara's fluffy ponytail better. And they're made for people with too much $ who buy these cards knowing better ones are just around the corner. There really isn't a great deal more to its early implementation than better reflections. Like that is it. Anything more than that would require substantially more of the die space being dedicated to ray tracing than just something bolted onto a Pascal chip and used as an excuse to add $200-300 on top of prices. Yeah, Thats what I see and I get ya, that is progress and things take time and I am happy for all of that. It is a great start and I suppose it will be really really awesome in iteration 3 or 4. Honest question. Do nvidia finally use a sync computer properly for dx12? How many rays do we need!? This reminds of the 6800 GT. It came out fully supporting DX9 with all it's fancy features, but when the real DX9 came out, it couldn't run any of them with good settings at a decent resolution while maintaining good performance. The same is true for DX11 cards where tessellation will tank performance but if you look at current cards it barely impacts performance. This is the same case here where these cards are the start of a new graphics technology that's not capable of actually doing these features. New card several years from now will be significantly more capable. Based on that. Actual performance remains to be seen I suppose. Exactly, you ain't gonna get ray tracing games built from the ground up cos the consoles don't have it so his argument is bizarre. All you're get is it bolted on after the fact, tanking performance. So it'll be like hairworks, everyone will just turn it off when gaming, reviewers will turn it off when benching. Plenty of games can already do that with a GPU under $500. With my 1070, I can play Overwatch at 4K, locked 60 FPS on high graphical settings. BF5: Are you a god? I’ve Lost my mind folks! The good news is that this tech will see it's way into the next gen consoles, even if a limited form. It will definitely help with lighting and shading to the nth degree. I played ROTTR with VXAO on my 980s (in SLI I think). I think I took about a 20 fps hit, but it still kept me north of 40 fps as a minimum FPS which on a gsync monitor is plenty good imo. Again, it'll vary game to game whether I want to take the hit, but in a single player game like this where shooting is just one element, I'm going to be very tempted. you compare the user base of older cards + consoles against the RTX for the next year and a dev would need to be crazy to allocate too many resources to this tech for now anyway. Tessellation on the HD 5870, compatible but VERY slow at it..
What did people expect that lighting and shadow and mirror calculation and rendering are for free now? 1080p is an ambysmal resolution these days.. and terrible on 1440p and 4k displays. I still like pushing new tech but it's quite a premium pricing increase for something nearly unusable (2080 and under I'm sure it will be). they added a lot of additional dedicated hardware on the chip, stuff that wasn't there and it's there now just for this task, so maybe people expected decent performance, not going sub 60 on a game that is going to run at 60 on consoles. Why lol? Maybe people just want the best card out there? It’s not like you have to use the Raytrace settings. But it it will still destroy consoles with the setting off. I need the “ feel like I’m taking crazy pills “ gif. Yeah, I'm sure it's a giant leap technologically but I can't realistically justify spending that much for a feature that can't reach 60fps yet, when it's not that big of a leap outside of this one use case. Theearly adopter tax is way too high here. I'll wait a couple generations to get in. I do wonder how well it's going to sell at that price. The comments in this thread must make a developer blush right? I’m excited to see the implementation. I'm glad this tech is coming out but being asked to trade resolution for just about anything else is something I don't see many PC gamers accepting. To this degree, I mean. Anyone saying BF5 doesn’t hit 60fps at 1080p is flat out wrong. That’s a lie or an incorrect understanding of what was being seen. It’s much higher. So it seems like ray tracing still has a ways to go to get better optimized. Just play with it off, and I know these new cards will perform beautifully in 4K and 1440p. We will see what happens post-release of games like Tomb Raider and BF:V for ray tracing. Hopefully it does just work, I'm so tempted to buy one of these in September. I cannot wait until y'all get your hands on this. Everyone’s in full lynch mob mode in here. It’s expensive so it must be bad. Does this mean a video is incoming with the facts? but... how much faster than Pascal to justify the big price increase? Environment interactivity and realistic animation are 1000 times more important than all of these examples of ray tracing. Yes but not yet. Alex will handle it and we have the proper facts on this. Thread title is wholly untrue and needs correcting. BFV was above 60 at 1080p with ray tracing on. The hyperbole as well here is just not great. Wait for the demos, wait for the games, wait for more info - not unsabstantiated information. No Way? Really? Thats amazing! What exactly is ray traced in this? The shadows? The entire scene? I'm just curious... and yes, real-time ray tracing (even if only the shadows) is a huge step forward. Clearly, this is running at a playable frame rate on a $1200 graphics card. I wrote a ray tracer in a Computer Graphics class in College... it took several minutes to spit out a single image of a very simple scene. Seeing ray tracing coming into games at playable frame rates is very exciting stuff! Thumbs up man, we really need to know what's what.......especially for those prices.